Simplifies Common Tailstock Operations. Operates simply as a drill press on an otherwise cumbersome tailstock. 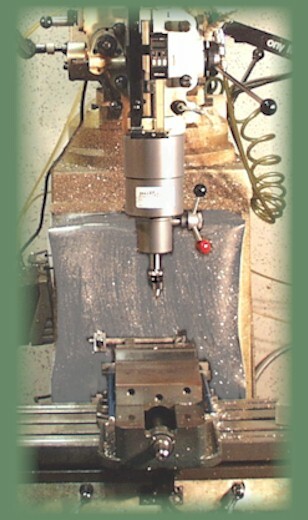 This super-sensitive drill press, R-8 attachment easily sets up on any Bridgeport-type mill. Length as short as possible. Plenty of available workspace.